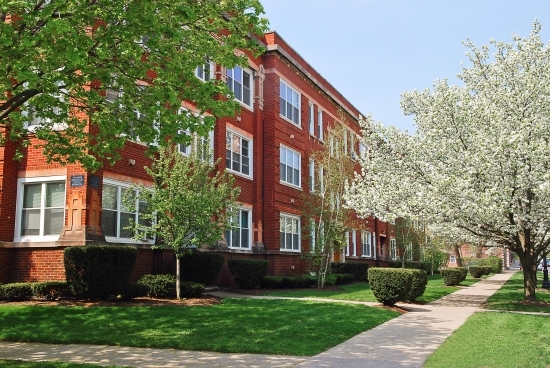 For the ultimate mix of suburban serenity and convenience, visit this twenty-seven unit, three story, walk up, vintage building featuring beautiful landscaping and well manicured lawns. Located two blocks from the Main Street/Chicago Avenue CTA and Metra stations with fabulous dining and shopping just steps away. This property offers large one and two bedroom apartments with unique amenities such as lofty nine foot ceilings, gorgeous original stone and woodwork, and modern updates throughout. The building provides secured access, off street parking, heated garages, laundry facilities, personal storage units, bike rooms, as well as private outdoor living spaces.